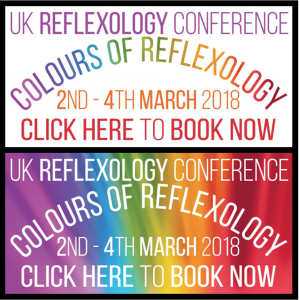 March 2nd -4th, 2018 Colours of Reflexology Conference, UK. 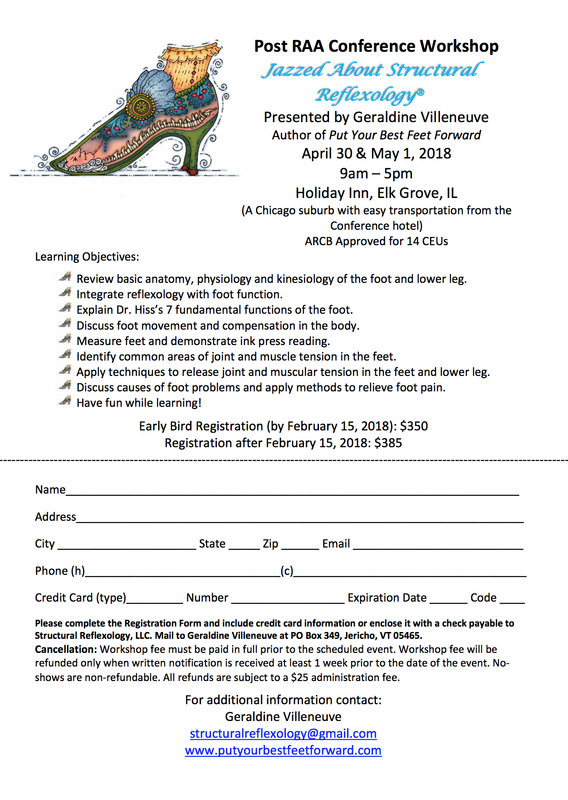 Jazzed About Structural Reflexology, Chicago. Invaluable! Can’t say enough how much this class has opened my eyes to health. I can’t wait to learn more and see where this takes me. Thank you and please more classes so I can gain further skills to help my clients. Beautifully done class. Very informative. Learned so much . 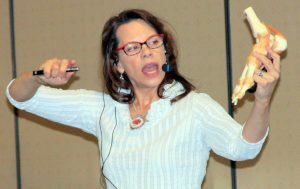 Geraldine was very animated, professional and demonstrated information extremely well. Geraldine provides a safe place to learn and expand. She listens to her students and addresses their needs. Geraldine Villeneuve trademarked Structural Reflexology® in 2013. 8 Responses to Learn Structural Reflexology! Hi, are you planning on any other dates/times for this course? I would be very interested. 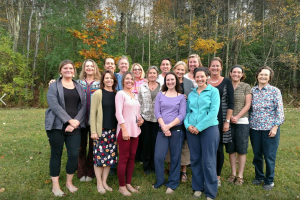 Baltimore MD-Structural Reflexology Level II September 28, 29 & 30th. Do you have any spots left for the Chicago class? I’m sorry I missed your inquiry about the Chicago Structural Reflexology class. This class was completed on the day you submitted your question. 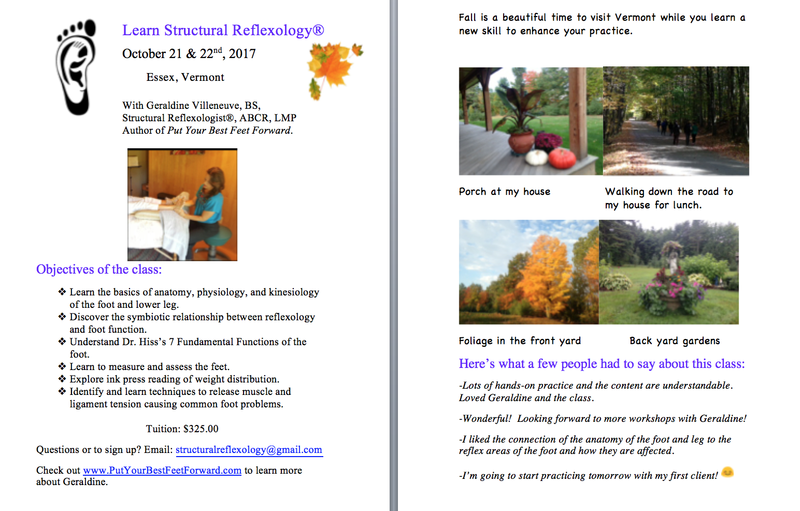 I will be posting as I confirm new Structural Reflexology class dates. 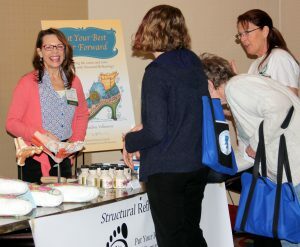 Thank you for inquiring about Structural Reflexology classes. Nothing is scheduled in Chicago at this time. I’ll be in Toronto, Canada March 1-3, 2019. The contact for this class is Bev Green Johnson. Her email address is sole2soulhealings@gmail.com. I will be publishing details soon.